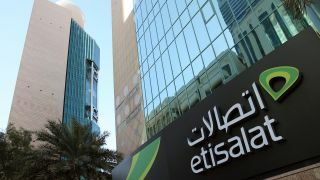 Etisalat is positioning itself as one of the first telcos in the world to offer e-SIM support for the new iPhone XS, iPhone XS Max and iPhone XR. The services will be available on these Apple phones following the release of iOS 12.1 later today. The three new iPhone models launched this year support dual SIM technology on an iPhone for the first time and will allow consumers to have two active connections. Such functionality has been available to Android users for many years though through physical SIM cards. Apple is the first company to introduce an unlocked version of eSIM that can be used by any global carrier supporting this technology. Etisalat launched an eSIM with the Apple Watch LTE earlier this year and is now extending an updated version of this technology to the iPhone.